Mathematics in India: A Complete Guide to Make Your Career in this Field! Mathematics is the study of measurement, properties and relationships of quantities and sets, using numbers and symbols. In other words, we can say that Mathematics is the study of numbers & their calculations. It is used by all the individuals in their everyday life. It is essential in many fields, including natural science, engineering, medicine, finance and the social sciences. So, this is the basic information about Mathematics that everyone must know. Now moving on to the main reason behind this blog. In this blog we will discuss about various Courses, Entrance Exams, Institutes & Careers in Mathematics. We know some of the students find Mathematics field boring. But many of them find this subject interesting and want to continue their career in this field. So, to help the students like you we have discussed everything you need to know about Mathematics. This will surely help you in making your bright career in this field. Let’s start with the Entrance Exams that are related with Mathematics. List of Best Entrance Exams for Mathematics in India! To make your career in Mathematics, the first step you have to take is to appear in an entrance exam. There are many UG, PG entrance exams through which you will be admitted to the Mathematics courses or related courses. We cannot mention all of them here. So, we have sorted out the best entrance exams for Mathematics for both UG & PG levels. The full form is Joint Entrance Exam. IIT JEE is conducted for the candidates who want to take admission to Engineering/Architecture Courses at IITs or NITs. NEST is National Entrance Screening Test. It is conducted for admission to five-year integrated MSc programme in basic sciences (Physics, Chemistry, Biology, and Mathematics). It is basically an entrance exam for M.Sc. Mathematics. This is another option if you want to make your career in Mathematics field. For more details you may visit the official website. IIT JAM (Joint Admission test for MSc)is an entrance exam conducted for admission in IITs, NITs, or IISc to pursue MSc (Four Semesters), Joint MSc-PhD, MSc-MTech, MSc-PhD Dual Degree. It is also an entrance exam for MSc in Mathematics in India. So, you can appear in this exam also. You can check the complete details regarding this exam from the link mentioned above. Council for Scientific and Industrial Research conducts the Joint CSIR UGC NET Exam which checks the eligibility of the candidates to apply for Junior Research Fellowship (JRF) or Lectureship (LS). You can pursue PhD in Mathematics after clearing this exam. GATE (Graduate Aptitude Test in Engineering) is a national level exam which is conducted for admission to post-graduate programs like: M.E., MTech and direct PhD. Through this exam you can apply for PhD in Mathematics in various institutes in India. You can visit the official GATE website to know the complete details. Indian Statistical Institute Admission Test is conducted by Indian Statistical Institute for admission to various UG, PG and JRF (Junior Research Fellowship) courses offered by ISI. You can visit their official website to know the complete details. This is another good option if you want to make your career in Mathematics. Above we have discussed the best entrance exams if you want to make a career in Mathematics field. Now the next step is choosing the right course for a Mathematics field. Below we have mentioned all the Mathematics Courses that you can pursue. Let’s have a look. Mathematics Courses: Complete List of Courses! After clearing an entrance exam, one must look for the perfect course to pursue. As this blog is all about Mathematics, we have mentioned all the UG, PG and Doctoral degree & certificate courses you can pursue to make your career in Mathematics. 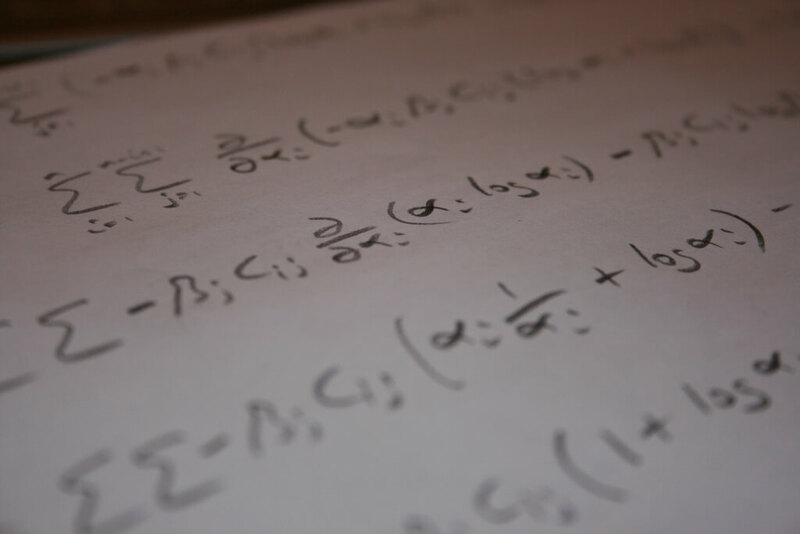 There are many more courses which are related to the Mathematics field. But we cannot mention them all. We have only listed out the best Mathematics Courses for your career. There are more than 1000 institutes in India that offers Mathematics courses. So, choosing the best one would be a tough task. To help you out, we have provided the top 10 Mathematical Institutes in India. Careers in Mathematics: List of Best Options in India! There are vast opportunities for the students who want to make their career in Mathematics field. They can look for jobs in private as well as in public sector. Below we have listed out the best degree-wise careers in Mathematics that a candidate may choose. B.Sc. graduates can apply for the post of teacher in any Indian School. Based on their skills and knowledge they will be offered higher salary packages. So, a good option after B.Sc. Mathematics. Average Salary Offered: 2,50,000/- per year. You can also apply for Lecturer in Indian Colleges & Institutes. Candidates need to qualify an entrance exam and apply for the Lectureship Jobs in any Indian Institute or College. Average Salary Offered: 3,50,000/- per year. A consultant is one who provides expert advice in a particular area. A good B.Sc. Mathematics job after graduation. B.Sc. graduates may apply for this post also. Average Salary Offered: 7,00,000/- per year. The most preferred career option after B.Sc. Mathematics. You can become a banker after pursuing B.Sc. After qualifying IBPS or SBI Exam, you can apply for this career option. A Statistician analyze data and apply mathematical and statistical techniques to solve the real-world problems in business, engineering, healthcare and all other fields. This is also a good option for young graduates. A statistician typically needs a graduation degree that has a statistical or quantitative component. You can also go for a CA course after your graduation or post-graduation to become a CA. No matter what your qualification is, you can always go for it. It’s a 3-year course. You have to take admission to ICAI (Indian Chartered Accountants Institute) to pursue the CA course. To become an Astronaut, you need a bachelor’s degree in mathematics. So, this would be the perfect option for you. You also need at least three years of related professional experience. Average Salary Offered: 40,00,000/- per year. These are some of the best careers in Mathematics that you can choose after graduation. Now moving on to the Careers after Master’s degree. Check the list of best career options after master’s in Mathematics. After pursuing Master’s degree like M.A., M.Tech., M.Sc. Mathematics, graduates are ready to work in many applied research positions, as well as mid and senior-level positions in private and public sectors. There are various careers in Mathematics after obtaining a Master’s degree. Below we have listed out some of the best options for you. So, let’s have a look. This is a job for M.Sc. Mathematics other than teaching. An actuary apply statistical methods and mathematical skills to determine level of risk in finance, insurance and other professions. To become an actuary, you have to clear Actuarial Common Entrance Test (ACET) and then pursue a professional course in Actuarial Science. A Cryptographer encrypt sensitive information using algorithms, ciphers and security systems. This is also a good career in Mathematics. Average Salary Offered: 9,00,000/- per year. You can go for higher studies if you want to gain complete knowledge in this field. You can go for Doctoral degree course after your post-graduation degree. Now these are the careers in Mathematics you can go for after pursuing Doctoral degree in Mathematics. A Mathematician specializes in the study of Mathematics. This is a perfect career option if you want to make your career in this field. There are two main types of Mathematician: Theoretical and Practical. So, you can go for this option also. Average Salary Offered: 50,00,000/- per year. A PhD Mathematics degree holder can be recruited as Professors or Assistant Professors in Universities and Colleges in India. Average Salary Offered: 14,00,000/- per year. You can become a senior quantitative analyst after pursuing PhD in Mathematical Finance, Computer Science, Physics, or Mathematical Engineering. A Quantitative Analyst specializes in the application of mathematical and statistical methods. Average Salary Offered: 8,00,000/- per year. Now this brings us to the end of this blog. We have provided every single detail to make your career in Mathematics. Hope this article would be helpful for you. Do share it with your friends if they also want to make career in this field. If you have any queries/doubts, you can comment them below. We will answer your queries as quickly as possible. Kadamb Sachdeva is a professional blogger. He has written many blogs and has a great knowledge about competitive exams. Entrance exams, e-learning, career guidance are some of the topics on which he has written the blog.